For decades Lowry Solutions has been Simplifying Traceability by solving their customers toughest business challenges. Lowry architects solutions that utilize barcodes, RFID and IoT (Internet of Things) technology. 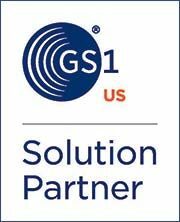 As a Zebra Technologies “Premier Solution Provider”, Lowry has and continues to distinguish itself as a true partner who has earned and maintains multiple Zebra specializations! We are proud of our long history of partnership with Lowry Solutions. As a Premier Solutions Provider, Lowry has earned an elite status that very few are able of achieve. Zebra Technologies is the clear leader in mobile computing, scanning, barcode printing technology which utilize Barcodes, RFID, Visibility, Analytics, Sensors, Cloud and The Internet of Things (IoT). Zebra Technologies is an IoT pioneer and has won numerous awards for product design, and their asset visibility solutions which utilize their own IoT platform called Zatar. Additionally, Zebra has been recognized by Fast Company as one of the most innovative companies for developing a very unique and innovative RFID tracking solution for the National Football League which enables you (and the Team Staff) to track players performance from week-to-week and game-to-game. With Lowry’s decades of experience and expertise, Zebra Technologies can make your business as smart and connected as the world we live in. Zebra Technologies barcode scanners have earned a well deserved reputation for high-performance, accurate data capture results for a wide range of applications and environments, including:retail point of sale, healthcare, manufacturing production line, and warehousing. Zebra is the industry leader in barcode scanner performance, offering a comprehensive portfolio of products that includes Companion Barcode Scanners, Fixed Mount Barcode Scanners, General Purpose Barcode Scanners, Healthcare Barcode Scanners, Multi-Plane Barcarole Scanners, and Rugged Scanners. Zebra also offers interactive, self-serve kiosks so customers can serve themselves — from checking a price to self-checkout. Lowry Solutions is the leader in simplifying traceability utilizing barcode technology and a proud partner of Zebra Technologies. Lowry’s experienced team of engineers and technical service professionals are committed to working with you to determine which Zebra barcode scanner products will provide the greatest performance, efficiency, and ROI for you project. Zebra Technologies has earned a reputation for being a leader in integrity, innovation, and value, offering highly relevant solutions that can help your business take advantage of key technology trends. Intuitive design, durable construction, and outstanding performance are a given when you invest in a Zebra printer. Whether you’re looking for Desktop Barcode Printers, Industrial Barcode Printers, or Mobile Barcode Printers, there is a Zebra barcode printer solution to meet your business application needs and optimize efficiency. Lowry Solutions is a leading provider of enterprise mobility solutions, offering the most complete and contemporary data collection solutions available. Founded in 1974, Lowry continues to evolve alongside our customers to provide barcode and RFID technology solutions for a wide variety of application requirements. When it comes to enterprise mobility, Zebra mobile computers offer solutions that are the industry’s gold standard. Lowry Solutions is proud to be a Zebra Partner and provide these products which are the long recognized leader and best-selling mobile computer for demanding environments. Zebra mobile computer solutions provide an optimal mix of features, rugged design, and support for the most demanding business applications. They enable workers in retail, hospitality, manufacturing, healthcare, and government to complete more tasks more accurately in less time, improving productivity and customer care. The comprehensive capabilities of Zebra mobile computers provide workers outstanding versatility in what they can accomplish. For example, they can scan barcodes, take pictures, view videos, access business applications, connect to the Internet and email, and make and receive private and push-to-talk voice calls. Zebra mobile computers provide a new level of affordability to business operations, offering the right mix of enterprise-class features and enterprise-class rugged design in a compact device that fits in your budget. Packed with the latest in technology, Zebra’s powerful platform offers the most current mobile operating system for the enterprise, as well as the fastest processor and largest memory footprint in this device class. Contact Lowry Solutions team of experts to learn how Zebra mobile computers can optimize your business for greater efficiency, productivity, and ROI. In industries where mobility is key, you need a rugged, industrial-grade device that can withstand harsh environments and protect critical business data. Enter Zebra rugged tablets—designed with enterprise requirements in mind. The ET50/ET55 Tablet Computer is a customizable device with superior data capture capabilities and flexibility. For customer-facing environments that require durability and sleekness, there’s the ET1 Enterprise Tablet. Its extremely rugged design resists damage from drops and tumbles, leading to increased up-time. Either of these tablets is sure to provide you with the versatility and flexibility you need to keep your business running at peak performance. Zebra Technologies has gained a reputation for having the broadest Radio Frequency Identification (RFID) portfolio, the most tested and proven RFID readers, plus performance that consistently sets the industry benchmark — especially with Zebra RFID scanner solutions. With Zebra RFID scanner solutions, you can deliver the information each and every one of your workers needs to automate manual processes, improve efficiency, and increase task accuracy. You also get access to an industry-leading, world-class partner network that helps you get your RFID solution up and running rapidly, reducing deployment time and cost and allowing you to begin reaping the benefits of RFID faster, for a faster return on investment. Lowry Solutions is a Global Systems Integrator of complete technology solutions for diverse application requirements, including those that require RFID technology such as RFID printers, RFID readers, and RFID labels and tags. Lowry offers Zebra’s complete line of business and industrial RFID Handheld Readers, RFID Fixed Readers, and RFID Antennas.